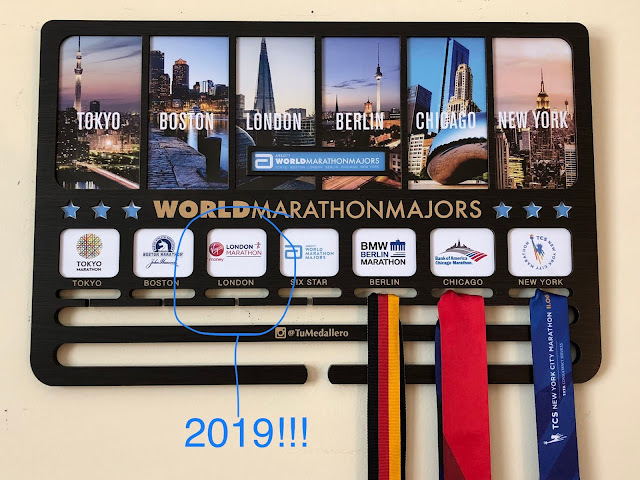 "We believe that being a Ragnarian is about more than being a runner..."
I joined my Ragnar Alafia Trail team in much the same way that I joined my Ragnar Chicago team (back in June of this year): I saw a post on Facebook about a team looking for runners... I asked if they were competitive or not (since my pace is slower non-competitive teams work best for me)... the team captain assured me that it was a non-competitive team... I registered and paid. This time, however, I convinced my friend Mary to join as well. The week leading up to the race was filled with your typical "pre-trail race prep". Mary and her husband have gone camping before so they had all the camping gear we thought we would need. So really I just had to make sure my running clothes and personal equipment etc were ready and suitable for trail races. Did I mention I had never run a trail race before? Yeah... never. I did one practice run (on what I would soon learn was a "baby trail" compared to the trails for the race) in the week before Ragnar and that was the extent of my trail experience. I had also never gone camping before. In general, I'm not really an outdoorsy kind of girl. I'm more of a "I need a hot shower and an air conditioned insect-free area to sleep" kind of girl. Once we had our tents set up we went to watch the safety video and complete the team check-in process. For the better part of the next two hours I spent most of my time complaining about being hungry and trying to explain to my vegan (Pete) and vegetarian (Mary) teammates that Black Bean chips were not a suitable alternative to a meal, especially for my carnivorous tummy. Ragnar Trail Tip #1: If you are arriving on the day/night before the race, bring the food you want to eat. There are no food trucks the night before race day. And surrounding food options might be limited. Plus, as much as you think it might work, loudly exclaiming how wonderful the neighboring team's food smells does not motivate them to give you any... even when you add how hungry you are (trust me I tried). Ragnar Trail Tip #2: If you are going to share a tent with someone make sure you are "tent sleeping" compatible. Neither Mary or I snore which immediately decreased the homicide risk in our tent. And we both sleep pretty straight. Granted the sleeping bags significantly inhibits your ability to move around, but that really comes in handy when there isn't a lot of room in the tent. Ragnar Trail Tip #3: Bring a large tent. I didn't think Mary and I would need more than a two person tent since... well, it was just for the two of us. What we didn't really factor in was the space that all our stuff would take up. Bigger tents are more of a headache to put up, but you will appreciate the space. Each team has a specific 17'x17' space that they have to keep all their stuff in (this is to ensure that all teams are accommodated on the camp grounds), so you don't need a tent mansion. But at the very least remember that your gear takes up space so bring a tent that will accommodate you and all your stuff. Ragnar Trail Tip #4: Bring earplugs. There were a few teams that thought their 17'x17' space was soundproof and proceeded to laugh and talk at an absurdly inconsiderate volume into ungodly hours of the morning. The earplugs were an absolute necessity at that point. Now, I recognize that the entire experience is supposed to be fun. And I'm all for teams hanging out and having a good time. But no one needs to hear Cards for Humanity answers screamed across the campground at 2am. By the time I finally fell asleep, it was time to wake up. And once Monica was off it was time to eat and get ready for my first leg. Ragnar Trail Tip #5: Give yourself enough time to get ready (especially when you have to get dressed in a small tent). It takes a special set of skills to put on compression pants while lying flat on your back in a two person tent that's half filled with all your camping stuff. It's even harder to do that while trying to avoid the cricket that got inside the tent with you. Even though the green loop was the "easy" loop, I still had trouble getting through some areas of the trail, and rolled my ankle slightly when I landed incorrectly on a tree root. Fortunately, my ankle only bothered me a little; unfortunately, that wasn't the only time I rolled my ankle during the race. When my first leg was over I handed off the "No Moe Hills" team bib to Jairo and went to peel myself out of my sweat soaked compression pants (which were just as hard to take off while lying down in a tent as they were to put on); take a "shower pill" shower; charge my phone; and to finally find my first real meal of the day. 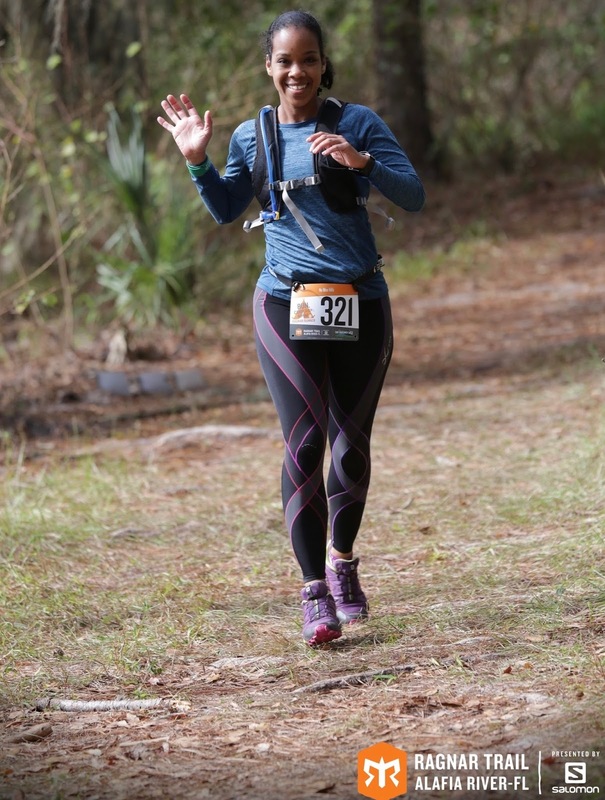 Check out "Tales from the Trails - Part 2" to read about me running my hardest leg in the dark & why yellow is my favorite Ragnar color 😊. Wow! This is amazing so far!! I ran Ragan DC 2 years ago and loved every minute of it!! Kudos to you for jumping in and running a trail ragnar!! I am too much of a clutz to run trails. Sorry to hear about your ankle...I hope there wasn't too much damage. You are so brave!!! This sounds fascinating but far far out of my comfort zone, LOL. You may be putting this in your next post, but does this make you want to run trails more? Loved the tips, and really look forward to your next post!! I am so scared of the dark lol.